simply elegant. your details are subtle, but so effective. Oh Pam, not only do I like the way you now can search your blog by topic, but this shirt is wonderful! I really like this shirt. Very courageous of you to do bias trim, but it turned out very well! A really elegant shirt. I bet your customer is delighted. Pam, What a gorgeous shirt! The bias details are so unique, and I love the way you always customize to further your client's comfort without in any way compromising the beauty of the garment. Just beautiful! 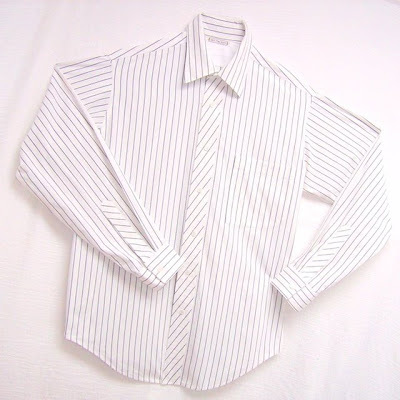 "You may notice that the sleeve plackets are very long, yet do not have buttons. The lack of buttons on the sleeve plackets are what my client prefers"
I'm curious to know why. 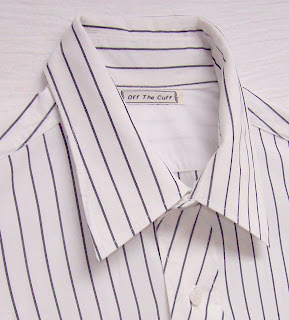 Does your client only wear the shirts with the sleeves rolled up? Yes, my client always wears his shirt-sleeves rolled up, and finds buttons on the sleeve plackets annoying.